Halloween is a little over two weeks away, and the crunch time has come for costumes. You may feel like you’re stuck with the expensive costume store options, but you aren’t. Before you take your children to a Halloween store (which might scare your children and ruin your budget), try these tips first. I think most of us have stories from our teen years about last minute costume parties. Do you remember scrounging around the house and pulling together with your friends to create great costume without any money? I don’t know about you, but this describes my teen years perfectly. There were many costume parties and themed-dress days at school. Look around you. What costume can you make out of what you have? Earlier today on Pinterest, I saw a kid’s cupcake costume made from an old lampshade. A special occasion dress can be reused again as the base of a princess or fairy costume. A pair of overalls and a red shirt can be the base of a Mario costume. You just need some creativity. If you search for homemade Halloween costumes, you’ll be overwhelmed with many amazing ideas. Don’t go in over your head with a complicated and pricey DIY project. It would be unwise to end up spending $40-$60 on craft supplies to make a costume when your goal is to save money. My daughter was Audrey Hepburn last year, and all this required was a black dance leotard (which I found at the thrift store), a string of fake pearls, a pair of cheap sunglasses (which we already had), and some tulle and ribbon to make a tutu. If your child wants to be a notable character or animal, sometimes you can get away with just buying the ears or tail. For example, a cat costume could be made simply with a cheap pair of cat ears and a cat tail (make them yourself or find a seller on eBay). Then you can pair the cat ears and tail with a leotard or even just casual, everyday clothes. The same can be said about Minnie or Mickey Mouse. Other notable characters usually have one distinct feature. Rapunzel is known for her long hair, which can be made out of yarn and paired with any special occasion dress. Did you know your local thrift store has a lot of costumes in stock right now? They’re going to be priced anywhere from $5-$10, which is a little steep for a second-hand store. However, it’s cheaper than the actual Halloween store. I went a few days ago looking for faerie wings and was surprised by the number of princess dresses, Spiderman costumes, and other options they had. It’s worth looking at the thrift store for costumes or costume accessories. The important thing to remember when it comes to costumes is that it’s only one day and it’s all in the name of fun. If you can’t find the perfect style crown or dress color, don’t worry about it. Your child will be happy either way. 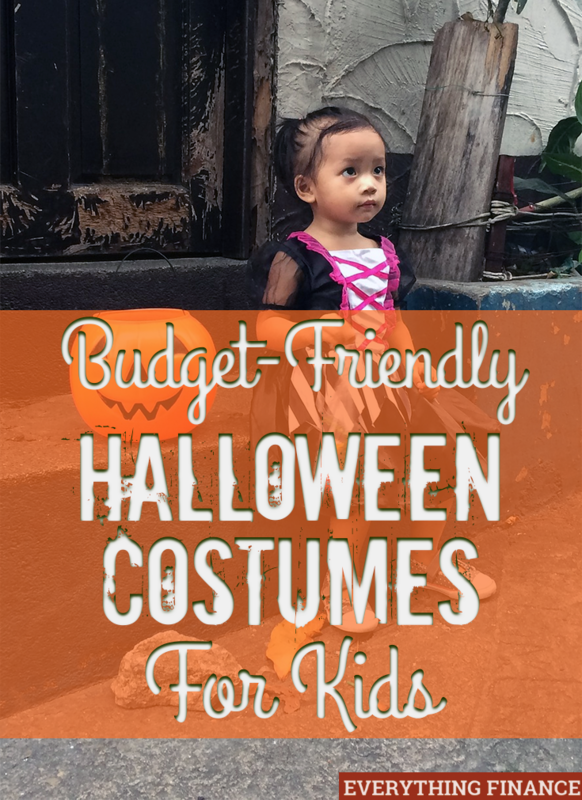 What tips do you have for doing Halloween costumes on a budget? What costumes have you made yourself or bought for your kids?